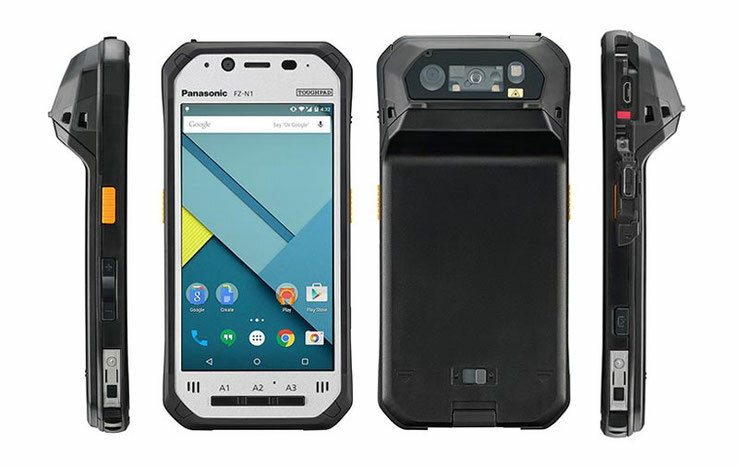 At the exhibition MWC 2016 held in Barcelona from 22 to 25 February 2016, Panasonic introduced the company a couple of smartphones protected Toughpad FZ-F1 and FZ-N1, the main difference is reduced to the operating system. While the Toughpad FZ-F1 is running Windows 10 IoT Mobile Enterprise, FZ-N1 - with Android 5.1.1 Lollipop. Interestingly, the manufacturer accurately called Toughpad FZ-F1 and FZ-N1 "tablets", in spite of the obviously handheld form factor and an existing voice communication function. According to Panasonic, it is the lightest in the world fully protected PDA business tablets. They are designed for warehouse, retail and manufacturing industries, postal and courier services, field and of rescue teams. Gadgets are equipped with a barcode scanner and support the function of active and passive pen for a signature on delivery. The devices are equipped with 4.7-inch capacitive display with HD resolution (1280 x 720 pixels), 5-megapixel front and 8-megapixel main camera, a quad-core Qualcomm Snapdragon 801, 2GB of RAM and 16 GB of internal flash memory, a slot for cards microSD, two slots for SIM-cards, LTE modules, 3G, Wi-Fi, Bluetooth, and NFS. Main battery provides autonomous 8 hours, and an additional - 16 hours. 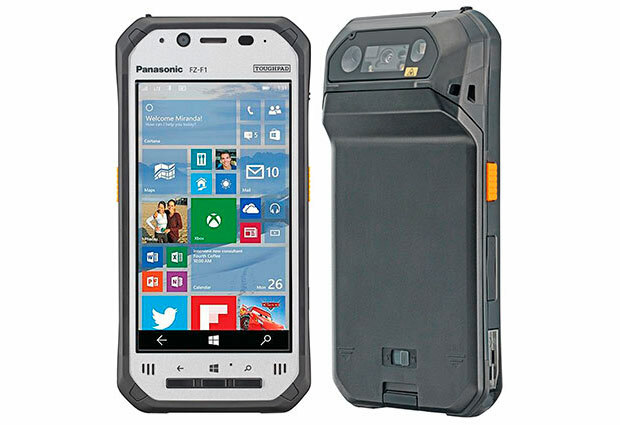 Panasonic Toughpad FZ-F1 and FZ-N1 can withstand a drop from a height of 1.8 m and protected against water and dust to class IP67.